For saving you money and staying within your price range, we offer a variety of brands of new central air conditioners and a selection of models, sizes and styles from several manufacturers. And we install & maintain all units at the lowest cost. Helping you decide when and with what you replace your air conditioner is part of our customer service approach - we fit the equipment to your needs. M and S Air Conditioning specialists are here to help you, by giving you all the information you need to make an informed choice. For A/C upgrades and repairs, we send fully stocked trucks and service men with the skills needed to get the job done right the first time. You can be assured that your air conditioning maintenance and repair needs are in good hands when you call M & S.
M & S Climate Control experts will help you decide from among the different levels of air conditioner systems and the services available that will meet your needs to stay comfortable in your home all summer. We answer questions and offer advice to help you decide what best fits YOUR situation. Most importantly, everything is in writing and we sign all documentation. This helps eliminate any confusion or misunderstandings down the road. Call today to schedule an in-home estimate for your A/C unit installation, and see how M & S Plumbing & Heating in Hicksville provides you with a personalized home cooling system solution that meets your comfort needs. And should your compressor, blower or pump stop working at any time, just give us a call. 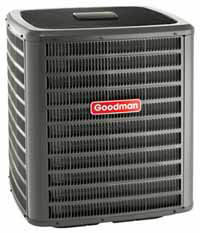 Our A/C repair experts are available 24/7 to provide fast, quality emergency service. Call M & S Plumbing, Heating & Air Conditioning today!